Should a Survivor Annuity be part of your retirement? Should you elect a Suvivor Benefit for a Spouse? Many thanks to the APWU OF FLORIDA STATE RETIREE CHAPTER for this information. ANNUAL LEAVE: At the time you retire, the Postal Service will pay you for up to a maximum of up to 440 hours of earned annual leave. You will lose any amount over 55 days of annual leave (55 days x 8 hours daily= 440 hours maximum). It should be on your next scheduled USPS paycheck. BENEFICIARIES: Check the information on beneficiaries you have previously chosen for your Government Life Insurance, Civil Service Retirement System (CSRS), Federal Employee Retirement System (FERS), earned annual leave, and earned compensation. There is a separate form for each benefit. The order of beneficiaries is your designated beneficiaries or if the order is not designated, then the order is spouse, child/children in equal shares, parents, executor or estate administrator, brothers and sisters, or next of kin in that order. COUNSELING SEMINARS: You need to attend a pre-retirement counseling seminar, if one is available at your USPS agency, at least five (5) or more years before your retirement. Many postal agencies only offer one pre-retirement individual counseling session within in a three (3) year period after you become eligible for retirement due to age and years of service. It’s a crying shame, but that’s the way things happen. Better yet, you should attend a National APWU Retirees Department Retirement class hosted by the APWU Region, State and/or Area Local/Local or enroll in a three (3) day National APWU Retirees Department Counseling Seminar which is being scheduled in each region. This way you may become an APWU Retirement Counselor in your APWU Area Local/Local, State or Region. DATE OF RETIREMENT (CSRS): For voluntary retirements, CSRS annuities should begin on the 1st, 2nd, or 3rd day of the month. If you retire on one of the first three days of the month, your first OPM annuity check is payable the first day of the following month. If you retire on any other day of the month, your first OPM annuity check is payable the first day of the second month which follows. If you retire the 4th day through the last day of any month, for example, August 4th through August 31, then your first OPM annuity check is payable October 1st. Waiting one extra day will cost you one additional month of OPM annuity pay! DATE OF RETIREMENT (FERS): In the Federal Employee Retirement System (FERS), voluntary retirements begin only on the first day of a month. FERS employees should retire on the last three (3) days of the month, if possible. For example, if you retire on August 31 under FERS, your first OPM annuity check is payable October 1st. Under FERS, retiring on other days earlier in the month will cost you extra days of additional OPM annuity pay. GOVERNMENT PENSION OFFSET (GPO): You may also be entitled to benefits based on the Social Security covered earnings of your spouse or former spouse. However, this benefit may be affected by the Government Pension Offset (GPO), another provision of the Social Security law. For more information, see Congress & Legislative link and scroll down to the Legislative Fact Sheet on Government Pension Offset (GPO). We urge you to contact your Congress and ask them to Co-sponsor and support the legislative bills already introduced in the 108th Congress to repeal this unfair law. HEALTH INSURANCE: You must be enrolled in your Federal Employees Health Insurance Benefits (FEHB) Plan program for a five (5) year period prior to your date of retirement to continue your health insurance coverage as a retiree. After you retire, you pay approximately thirty (30) percent of your health insurance premium and USPS pays about seventy (70) percent. This is a big change in the formula you enjoyed before you retired when USPS paid approximately eighty-three (83) percent and you paid about seventeen (17) percent due to the USPS/APWU collective bargaining agreement. Welcome to the real world! HIGH THREE AVERAGE EARNINGS PAY: Your high three average earnings pay is figured on thirty-six (36) months of continuous base pay only. It does not include overtime, night differential, Sunday pay, or lump sum payments. INCOME PROJECTION: If you will have any housing cost (mortgage or rent) or other significant loans/credit card debts after retiring, you will need approximately eighty (80) percent of your current USPS salary to retire comfortably. If you have no rent/mortgage or other substantial loans/credit card debts after retiring, sixty (60) percent of your salary will probably suffice. INTERIM PAYMENTS: Generally, as soon as the Office of Personnel Management (OPM) gets all your retirement records from USPS, OPM will provide interim payments averaging more than eighty-five (85) percent of your final retirement benefit. Usually, the next month’s check will be your regular annuity amount plus a make-up of the remaining amount due from your first payment. The third OPM annuity check you receive, if not sooner, should be your regular monthly annuity amount. OPM will withhold deductions for federal income taxes, health and life insurance coverage, and your $2.00 monthly APWU retiree union dues, provided you have completed the APWU Retired member Form 1187 and mailed it back to the National APWU Retirees Dept. LIFE INSURANCE: To keep your Federal Employees Government Life Insurance (FEGLI) group policy coverage, you must have been enrolled in the program for the five (5) years of service immediately preceding your retirement date or for all service since your first opportunity to enroll in the program. LWOP: The only way LWOP can delay your postal retirement by reducing your years of service credits is if you take over six (6) months of LWOP in a calendar year. OFFICIAL PERSONNEL FOLDER (OPF): Get a copy of your Official Personnel Folder (OPF) from USPS Personnel or Human Resources office at once, including all military records. Your retirement is based on the Form 50’s in your folder. Check your Personnel folder and files each and every year of your employment. Your retirement is determined by the highest three years of your consecutive yearly base pay. There is approximately a twenty (20) percent error in USPS record keeping. Your expenses of copying the personnel records in your folder will save you beg bucks down the road! SICK LEAVE (CSRS): In CSRS, for every 22 days of sick leave, you are credited for one month of service. 2080 hours of sick leave equals one year of credit for CSRS employees only. Accumulated sick leave can be used for additional monthly and years of service for retirement. SICK LEAVE (FERS): If you are in FERS, you get no credit for accumulated sick leave for extra monthly and years of service to retire. SOCIAL SECURITY BENEFITS: Telephone the Social Security Administration 1-800-772-1213 or go on line to their web site www.ssa.gov to ask for a “Request for Earnings and Benefit Statement” on you to get a record of your earnings under Social Security, and if you will be eligible, an estimate of the payment you may receive. Remember, the estimate you receive may not include reductions to your Social Security benefits due to the Government Pension Offset (GPO) and the Windfall Elimination Provision (WEP). You should schedule an appointment with your local Social Security office to personally get an estimate of your benefits, including any reductions which may be caused by the GPO and/or WEP provisions. SPOUSAL OPM BENEFITS: In compliance with the Spousal Equity Act of 1984, your spouse must agree and sign a notarized paper for you not to make your spouse a beneficiary of your OPM annuity. If the spouse chooses not to be a beneficiary and the annuitant dies, the spouse cannot get health insurance benefits coverage! SURVIVOR’S BOOKLET: Every potential APWU retiree member should purchase the APWU Survivors Booklet costing only $3.00 from the National APWU. This treasure chest publication allows for personal information to be stored in one place for your use and your spouse/family. If you pass away, the information in this booklet is especially important to you, but also to your survivor or loved ones. THRIFT SAVINGS PLAN (TSP): You are urged to contribute a maximum deduction to your Thrift Savings Plan (TSP) to realize a higher income return on retirement. Retirement for FERS employees is like a three-legged stool, that is, FERS, Social Security, and TSP. You cannot usually afford to retire if you don’t build up your Thrift Savings Plan account to the maximum. VERIFICATION OF RECORDS: All periods of civilian and military service should be verified in your Official Personnel Folder (OPF) files. You must take the initiative on your own to request copies of all your personnel records and keep these copies in a safe place where you know where they are located. Request copies each and every year to update your files for retirement some day! I bet you can’t wait to get started! WINDFALL ELIMINATION PROVISION (WEP): Any Social Security Administration estimate of the payment you may receive is not adjusted for the Windfall Elimination Provision (WEP), which is a provision of the Social Security law after 1984 that reduces the Social Security covered benefits of many former Federal and Postal employees. For more information, go to the Congress & Legislative link on this web site and scroll down to Priority Legislation and Legislative Fact Sheets to read about how the Windfall Elimination Provision may affect your retirement. We urge you to contact your Congress and ask for their Co-sponsorship and support for legislative bills already introduced in the 108th Congress calling for the repeal of the Windfall Elimination Provision (WEP). We think these bills have a good chance of getting out of Committees and going to the floor for serious debate and passage this time around the horn! YEARS OF SERVICE OPM MAXIMUM PAY: If you have forty-one (41) years and eleven (11) months of combined service at the time you retire, you will be paid eighty (80) percent of your high three continuous years of service. For CSRS employees, sick leave can increase your OPM annuity over the 80 percent maximum. FERS employees do not get any credit for accumulated sick leave in figuring their retirement! Did you know there is a Retirement Seminar available online via LiteBLUE? Feel free to refer employees to the "My Life" tab on LiteBlue www.LiteBlue.usps.gov Retirement information at your fingertips 24 / 7. Also, did you know that full-time career employees eligible to retire within the next 5 years can request an annuity estimate for optional retirement via PostalEASE. https://ewss.usps.gov/esymain.htm . PTR and PTF employees will need to contact the HRSSC to obtain an annuity estimate. A full explanation of the NARECS annuity estimate printout is available through www.liteblue.usps.gov by viewing the Online Retirement Seminar NARECS segment. Employees will need their Employee Identification Number (EIN) and PIN. There's a ton of retirement information available at http://www.opm.gov/retire/ . In addition, there are retirement counselors at the HRSSC that can answer employees' retirement questions. Disability retirement questions should be directed to the HRSSC. That number is 1-877-477-3273, menu option 5, listen for the retirements prompt. Voluntary contribution accounts are available only to CSRS and CSRS-Offset employees; those employees may invest an amount equal to up to 10 percent of their career federal basic pay in such accounts, where the money earns interest tax-deferred until withdrawn. Withdrawals are allowed either as lump-sums at any time or as annuities at retirement. Although the voluntary contributions program has existed for many years, many employees still are unaware of it, as are many personnel officials. Some employees who have expressed interest in opening such accounts report they have been met with either blank stares or outright statements that no such program exists. Also, there is a degree of confusion with the Thrift Savings Plan; some employees have been told that the TSP superseded the VC program. In fact, the two programs are separate and participation in one does not affect the other. To open a VC account, file form SF 2804 at the address on the form. 1. Five years before you are eligible to voluntarily retire, you can contact the Human Resources Shared Services Center (HRSSC) at 1-877-477-3273 and select option 5 to request an annuity estimate. 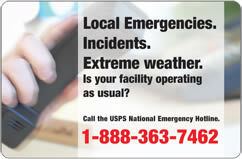 You can also request an estimate by logging into www.liteblue.usps.gov <http://www.liteblue.usps.gov/> , and select Postalease. 2. Although you can select any date to retire once you become voluntarily eligible, there are certain times of the month under both the Civil Service Retirement System (CSRS) and the Federal Employees Retirement System (FERS) that may be more advantageous to you. For example, if you are covered by CSRS the best time to retire is either on the last day of the month or the 1st, 2nd, or 3rd day of any month and your annuity is effective the following day. On the other hand, if you fall under FERS you should retire at the end of the month so your annuity will be effective on the first of the next month. 3. To initiate a voluntary retirement, employees are encouraged to contact the HRSSC within 180 days of their desired retirement effective date by calling 1-877-477-3273 and selecting option 5. The HRSSC will request your annuity estimate and order your Retirement Kit. · Validate your service history by reviewing your personal records. 1 Upon receipt of your Retirement Kit, you are asked to contact the HRSSC retirement counseling line to arrange your individual retirement counseling session. 2 Conduct your individual retirement counseling session by reviewing your application and discussing a variety of other information concerning your retirement and answering any questions you may have. Following the counseling session, you will mail your application back to the HRSSC for processing. 4 Complete the processing of your application by forwarding your application to the Accounting Service Center (ASC) who verifies your earnings and forwards your application onto the Office of Personnel Management. 5. Because of your many years of service, the Postal Service wants to ensure that your retirement is processed timely and as smoothly as possible. The retirement specialists at the HRSSC have years of experience and are thoroughly trained to make sure that your retirement application gets the personal attention it deserves throughout the process. Please share this information with your employees or post on your employee bulletin boards. 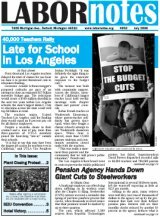 The APWU has a lot of information on their web page about retirement. Retirement Living.com - A great web page full of retirement information. The APWU does presentations on CSRS and FERS retirements all across the nation. 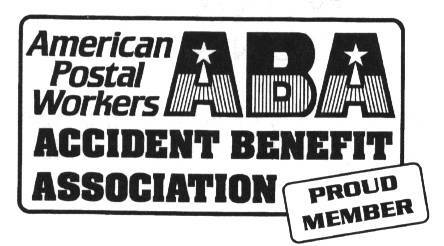 You can contact the Retirees Department at APWU and they can help you with setting up a class or where one may be in your area. The books the APWU uses is available right here. APWU Retirement Book. If you want to know what the Best Day to Retire in 2008 and 2009 check out this information. Everyone needs to know more about the Widnfall Elimination rules prior to retiring. What is your Mimimum retirement age (MRA). Read this article to find out. Do you know what happens when you Max Out on retirement? Hey! Check out this handy-dandy retirement calculator - it will give you an idea of what your annuity may be. It never too late to plan for your retirement. Read these suggestions and start planning. 1.Estimate based on retirement effective date shown, assuming Retirement Computation Date (RCD) is correct and you have at least 5 years civilian service in addition to any military service. Office of Personnel Management (OPM) will compute exact amount of annuity. 2. Estimate computed as if all required retirement contributions are in retirement fund. Necessary deposits for non-career service, redeposits for prior civilian service, and post-1956 military deposits not in the fund may affect estimate accuracy. 3. Retirement contributions reflect total withheld from salary during present USPS career appointment, and does not include contributions made at another agency, during a prior USPS appointment, deposits or redeposits, or voluntary contributions. 4. High 3 average salary reflects average of past three years basic salary. Does not include higher level (HL), leave without pay hours (LWOP), overtime, night differential, awards, etc. OPM will include HL and LWOP and compute on the consecutive 3 year period providing the highest average if other than this period. 5. If total service exceeds 41 years, 11 months, annuity is 80% of high3 average salary. Additional annuity allowed for unused sick leave. 6. OPM’s annuity computation prorates part-time service performed after April 6, 1986. Estimate does not include proration, which may affect estimate accuracy. 7. Military service after 1956 included in RCD without “post-1956″ deposit to the fund will cause annuity to be reduced at age 62 if eligible for a Social Security benefit. Employees whose first career hire began 09130182 or later must complete deposit before service credit allowed. 8. Survivor annuity amount reflects full survivor annuity. 9. Health insurance premium reflects monthly rate for federal annuitant. 10. Terminal leave payment reflects earned annual leave balance or allowed maximum balance after forfeited hours. 11. Annual leave and sick leave hours represent hours earned as of pay period prior to date of printout issued (date in upper right corner), not retirement effective date. 12. Premium costs for post-retirement life insurance coverage are for no reduction of insurance for each option, except Option A, and based on present age group as of estimated retirement date. Lower levels of insurance coverage will reduce premium costs. The CSRS Retirement Guide, EL-502, provides detailed information on the various retirement facts noted on this printout. Contact personnel for a copy of the EL-502 or go to HTTP:/BLUE.USPS.GOV/CPIM/FTP/HAND/EL502/WELCOME.HTM on the USPS intranet. Social Security information and benefit estimates must be obtained from Social Security. The USPS has a template letter that they are sending out to people who are retiring. Here is a copy of that letter. It has some good information about pay issues. How about a little Q&A this week? I am always impressed by the number and variety questions I receive. Retirement is obviously on the minds of many people in government right now. But before I get to your questions and comments, I need to clarify something from my recent column on the Medicare Part B late enrollment penalty. In that column, I wrote about the 10 percent surcharge added to the Part B premium for every year older than 65 that a person is when he or she enrolls. But according to Social Security regulations, the penalty only goes back to age 65 if the individual was not covered by health insurance through their own or a spouse's current employment. In the example I used, the employee didn't retire until several years after turning 65 and neglected to enroll in Part B during the eight-month special enrollment period following her retirement. If she decides to enroll now, she would only incur a 10 percent surcharge on the premium for Part B for the months that have passed since her retirement, not since she reached 65. So, to use another example, if a person enrolled in Part B at 70 after retiring from federal service at 69, she would incur only a 10 percent surcharge, not 50 percent. Now, on to the questions and comments. I joined the federal government about four years ago and paid off my military service credit deposit right before my third anniversary, when the first interest accrual was due. I was very disappointed to find out the only acknowledgement I got from my agency was a one-liner that acknowledged it was paid in full. Nowhere in the document does it acknowledge the amount paid or the amount of time bought back. The record of your military service deposit will be retained by your payroll office until you leave federal service. When you retire, that record will be submitted to the Office of Personnel Management along with a form indicating your deposit has been paid in full and what period of military service was covered. If you choose not to pay a deposit for military service, your agency will send a form to OPM noting that fact when you retire. This form provides a warning of the consequences of not paying the deposit. You can request confirmation from your payroll office of the amount you've paid and the fact that your deposit has been paid in full. When I worked in a federal benefits office years ago, we would encourage our employees to keep their canceled checks showing their military deposits had been paid. There are a whole bunch of folks (including me) who started as seasonal employees with land management agencies such as the Forest Service and Bureau of Land Management in the late '80s or early '90s, but we didn't get positions that paid benefits for close to a decade. Although our service computation dates reflect our seasonal time (in case of a reduction in force and for leave category purposes), we don't currently have the option to make a deposit and buy back time that will count toward an earlier retirement. So, most of us are looking at working into our 60s. I'd like to have the option of buying back those years as a seasonal. Have you heard of any move by OPM or Congress to allow this? I understand your dilemma and wish something could be done to allow you to receive credit for federal service that wasn't covered by contributions to the Federal Employees Retirement System. Employees with seasonal, temporary or other "nondeduction" civilian service before 1989 can make a service credit payment into FERS to receive credit for the service. But the FERS law did not allow credit for such service performed after 1988. I can see how this can be unfair to employees who work at agencies that use a lot of seasonal employees. I'm not aware of a bill yet that would allow for post-1988 nondeduction service to be paid into FERS. I was 20 and worked for three years before quitting and taking my Civil Service Retirement System retirement. It was about $3,800. I came back three years later, and no one told me about paying back the money to the retirement fund. Over 10 years after that I attended a retirement seminar where I discovered I owed a redeposit. I checked into it and it was over $9,000 with additional interest due. I was told by my personnel office that it was OK if I couldn't pay it back, it would just come out of my annuity when I retired. I attended another retirement seminar eight years later and found out the money is taken from your annuity until you die, not until it is paid back. I refinanced my house to pay the $17,900 at that time. I still wonder where the government can invest the money to make that kind of return. If it makes you feel any better, the decision to pay back a refund has a positive as well as a negative angle. You paid back $17,900 to avoid an actuarial reduction to your retirement, which is designed to provide the same value (taking into account interest) of total lifetime benefits as would have been payable if contributions had remained (or been paid back) to the retirement fund. If you retired at 60 and owed a $20,000 redeposit (including refunded CSRS contributions and any interest that has accumulated), the actuarial factor is 188.7. OPM would divide $20,000 by 188.7 and your retirement benefit would be permanently reduced by $106 per month. By paying back your redeposit, you've avoided this reduction. And by keeping the money in the equity of your house until you paid back the $17,900, your house was able to appreciate enough so you had $17,900 in equity to use for the payback. In this economy, some people might say you did the right thing at the right time considering you might have refinanced your home at a lower interest rate and were still able to use some of the funds to permanently increase your CSRS retirement benefit. But I agree that there should be a way for all employees to be made aware of these issues closer to their entry into service, rather than when they are nearing retirement. I would like to see an article discussing Medicare, the Federal Employees Health Benefits Program and TRICARE. My husband turns 65 in 2-1/2 years. Should he apply for Medicare? Right now, Blue Cross Blue Shield FEHBP is our primary and TRICARE is secondary. Military retirees and their family members become eligible for TRICARE for Life at 65. Medicare Parts A and B are required if you enroll in TFL. Although it is acceptable to have additional coverage such as FEHBP, it is not necessary. OPM will allow a retiree or a retired couple who both have Medicare and TRICARE for Life to suspend their FEHBP coverage indefinitely. OPM has more information on this topic. My current plan is to sign up for Medicare Part A at 65 and continue with FEHBP coverage into retirement at age 70, in lieu of Medicare Part B. Is this a feasible scenario? Does having Part A in any way commit me to having Medicare as a primary payer? Thanks. Your FEHBP plan will not drop you if you do not sign up for Medicare Part B at age 65. Therefore, if you don't enroll you will still have health coverage. Your FEHBP plan will benefit if you do enroll in Part B when you are retired, since by law Medicare would be the primary payer on most claims. Check the language in your FEHBP 2009 brochure to find out what benefits or incentives your plan provides if you have Part B as primary payer on your outpatient claims. Keep in mind that if you are in good health, you may not receive as much in Part B coverage benefits as it will cost you in Part B premiums. So keep your focus a little further down the line. You may experience some decline in your health as you age. One suggestion would be to consider enrolling in a lower cost FEHBP plan that waives co-payments and deductibles when Part B is primary. The SAMBA standard option and plans offered by the National Association of Letter Carriers and the Government Employees Hospital Association are two examples of plans that have less expensive premiums than Blue Cross Blue Shield and waive most out-of-pocket expenses when Medicare is primary payer. The goal for many retirees is to receive quality health care at a reasonable cost and to have the freedom to choose your own providers. This can be accomplished by combining Medicare A and B with a reasonably priced FEHBP plan. If you live in an area that is serviced by an HMO, such as Kaiser, or an open access plan, such as Aetna, these also might provide relatively low-cost options for health care after 65. And keep in mind that even though the 2008 open season has ended, the rules allow you to change health plans outside of open season when you turn 65. For more retirement planning help, tune in to "For Your Benefit," presented by the National Institute of Transition Planning Inc. live on Monday mornings at 10 a.m. ET on federalnewsradio.com or on WFED AM 1500 in the Washington metro area. Most people would love to have a financial windfall. A chunk of unexpected money that appears out of nowwhere. But there is another kind of windfall. It is a formula that can eat into the Social Security benefit anticipated by tens of thousands of long-time (CSRS) federal workers, school teachers and employees of some nonprofits. It also takes a huge chunk out of the Social Security benefits received each month by millions of retired federal and postal workers. Most Americans pay into the Social Security system by having the Federal Insurance Contribution Act (FICA) tax deducted from their paychecks. Currently, the FICA tax of 6.2 percent is applied to an employee's wages. During 2008, FICA tax is withheld on the first $102,000 of an employee's wages. Many individuals, including federal employees covered by the Civil Service Retirement System (CSRS), Americans employed in foreign countries by foreign employers, and some state public employees do not contribute to Social Security. In spite of their not being able to contribute to the Social Security system in their jobs, many of the aforementioned individuals have at some time during their working careers been able to earn the required minimum 40 "quarters of coverage" or credits to qualify for Social Security retirement payments. Before 1983, these workers were able to receive the maximum benefits from both Social Security and their public pensions. becoming first eligible for a monthly pension after December 31, 1985 based on non-covered Social Security employment. Why did Congress create the WEP in 1983? Perhaps the motivation to create it was to remove any possible inequalities of Social Security benefits of employees not paying into Social Security but paying into a government retirement plan. These employees would earn their 40 credits outside of federal service and subsequently earn Social Security benefits that are as relatively high as those benefits earned by employees who paid into Social Security their entire working careers. The "inequality" problem occurs because the threshold for coverage of Social Security retirement benefits is rather low and monthly retirement benefits accrue rather quickly at the lower end of the earnings scale. For 2008, full retirement benefits accrue at 90 percent of the first $711 of an individual's average indexed monthly earnings (AIME) and then accrue at a lesser rate of 32 percent, finally reaching an accrual rate of 15 percent. The most important thing for federal employees to understand is that the WEP will reduce, but will not eliminate, an individual's Social Security benefit by as much as 55 percent. Which federal workers are affected by the WEP and how do they determine how the WEP affects their Social Security benefits? The Social Security Administration (SSA) has a publication, SSA Publication No. 05-10045 (downloadable at www.ssa.gov) which explains the WEP. Perhaps the most important portion in the SSA publication is the table (reproduced below) that shows the effect of the WEP on an affected annuitant's Social Security benefits. CSRS and CSRS-Offset employees, and "Trans-FERS" (employees who joined FERS in 1987 or 1998 after working at least five years under CSRS), could be affected by the WEP. FERS-covered employees are not affected by the WEP because they have regularly paid into Social Security. With respect to CSRS-Offset employees (many of whom are entitled to two Social Security checks - one check based on federal CSRS Offset service and the other check based on non-federal service), the WEP could affect the Social Security retirement check that is based solely on non-federal service. To calculate the potential reduction of the WEP on affected individual's Social Security retirement benefit, he or she needs to reference two tables on the SSA Web site at www.ssa.gov and follow these three steps. Determine the number of years of "substantial" earnings. An individual needs to look at his or her Social Security statement (received annually) and determine how many years of "substantial" Social Security wages he or she has accumulated. The SSA has a table on its Web site (at www.ssa.gov/pubs/10045.html) that lists "substantial" earnings per year since 1937. For example, "substantial earnings" during 2005 was $16,725. Once the number of years of substantial earnings has been established, the reduction in benefits is found by referring to the WEP chart on the SSA Web site at www.ssa.gov/retire2/wep-chart.htm. For example, suppose a 62 year CSRS annuitant (age 62 is the "eligibility year" or ELY) with 15 years of "substantial earnings" begins to receive Social Security during 2008. On the chart under "20 or less years" of substantial earnings, this individual's Social Security would be reduced by $355.50. For example, if the individual was to receive a monthly benefit of $600, then the actual benefit due to the WEP reduction would be $600 less $355.50, or $244.50 per month. There is a limit on the WEP reduction equal to 50 percent of the non-Social Security pension (e.g. CSRS). For example, if the CSRS annuitant above receives a CSRS annuity pension of $300 a month, the WEP reduction would be limited to $150. The WEP does not affect an individual who continues to work and is drawing Social Security benefits. For example, a federal employee who has reached full retirement age continues to work for the federal government and is drawing his or her own Social Security retirement benefits. Those benefits will not be affected by the WEP. The WEP takes effect once the individual retires from federal service. If a federal annuitant affected by the WEP is married, then his or her spouse (or former spouse) is eligible for half of the annuitant's Social Security retirement benefit ("spousal/former spousal" benefit). This assumes that the spouse's or the former spouse's own Social Security benefits are less than half of the annuitant's Social Security benefits. However, spousal/formal spousal Social Security benefits are also affected by the WEP. If the annuitant dies and the spouse/former spouse is entitled to the deceased's Social Security ("survivor" benefit), then the WEP no longer applies. In other words, the spouse/former is entitled to the deceased federal annuitant's full Social Security benefit without a reduction for the WEP. Because the effect of the WEP is not included on an individual's Social Security annual reporting statement, many federal employees are shocked when they start receiving their Social Security retirement or disability benefits. As a result of Congressional hearings that provided woeful tales of individuals who expected Social Security payments based on the information provided by the SSA but ended up with much less, Congress passed the Social Security Protection Act of 2004. This law requires better disclosure of payment adjustments due to the WEP. Ed Zurndorfer is a Certified Financial Planner and Enrolled Agent in Silver Spring, Maryland. He is also a registered representative with Multi-Financial Securities Corporation (Branch A9X), member FINRA/SIPC, also located in Silver Spring, Maryland. Discover Magazine explains How to Turn Your Fist Into a Block-Breaking Machine. It's pretty cool, but then I realized I couldn't remember the last time I needed to chop a block in half. "You only retire once," the saying goes -- although I've met some people who are on their second or third retirement. Still, it makes sense to be careful about picking just when to leave. As I expected, the Best Dates to Retire 2009 column I wrote last week generated some concern among readers about choosing the absolute best date. During the past week, I've consulted with Bob Leins, my colleague at the National Institute of Transition Planning, who is a tax specialist. He provided some tips on choosing the best time of the year to plan your retirement from a tax perspective. Such considerations further clarify the dates I selected as best on the calendar published last week, so it's worth spending a little time thinking about how leaving during different seasons of the year might affect your retirement. If you are not trying to cash in 448 hours of unused annual leave before the end of the leave year, then you might consider March 31, 2009, if you're in the Federal Employees Retirement System, or April 3 if you're under the Civil Service Retirement System. Why? All annual leave will be paid at the new year's salary rate regardless of which pay system you're covered under. A few months at the new salary rate could help you get a bigger high-three average salary, which is the basis for the CSRS and FERS basic benefit computation. Having some earned income in your year of retirement will allow full Individual Retirement Account eligibility for both you and your spouse. Working a few months as a federal employee in your final year will allow for one last push of contributions into your Thrift Savings Plan account. It's possible that someone could retire at the end of March and still contribute the maximum amount ($15,500 in 2008, plus an additional $5,000 in catch-up contributions for those 50 or older) by dividing the amount of contributions by the number of pay periods remaining until retirement. This extra tax deferral of final salary into the TSP may put you in a lower tax bracket. If you've been buying savings bonds during your career or making other taxable investments, this might be a good time to begin cashing them in. What else are you going to live on if you are putting most of your final paycheck in the TSP? Retiring on June 30 (FERS) or July 3 (CSRS) provides many of the same benefits as an early spring retirement. There is an almost even split between half a year as an employee at full salary (allowing retirement contributions to continue and IRA participation) and half as a retiree (or someone who has begun a second career). An added bonus next year for CSRS employees is that if they choose July 3 as their retirement date, their last day on the job actually would be July 2; July 3 is a federal holiday and it comes the end of a leave period. A day of pay for enjoying a holiday and a earning your final leave accrual isn't exactly a golden parachute, but it's still a nice way to go out. Sept. 30 (FERS) or Oct. 2 (CSRS) provides the same benefits as a spring or summer retirement. In addition, you'll have only three months of retired pay in 2009, which is less devastating to your taxes if you are beginning a second career. Usually, new retirees are placed in an interim status while the Office of Personnel Management finalizes their claims. During this time, only a partial retirement payment is made. A retroactive payment to provide full retirement benefits might not be paid until the following year, and this might shift some taxable income to 2010. Note that I'm deliberately using "might" instead of "will" in this situation, because it's possible you won't go into interim status. Some claims are finalized within days of receipt and the full annuity payment is reflected in the first retirement check. If you are earning a high salary in your last year of employment, you may have maxed out on Social Security tax. (In 2008, the maximum taxable wage subject to 6.2 percent FICA withholding is $102,000). If a lump-sum annual leave payment or income from a second career received in 2009 pushes you over the maximum taxable limit, it won't be subject to FICA tax. Here's another tip for high-income earners: If you are facing the alternative minimum tax, you may be able to reduce state tax withholding for your final salary payment and your lump-sum annual leave check to reduce the amount of state income tax that you have to pay. If you're considering departing in the final days of a year, remember one thing: receiving a big lump-sum payout the following year for your unused annual leave along with 12 months of retirement income could push you into a higher tax bracket in your first year of retirement. This is especially true for those who are retiring from their federal career on a Friday and starting a new career on a Monday, adding additional earned income to retirement benefits. But the impact of a change in tax brackets can be slight and if you're income is high enough that the alternative minimum tax is applicable without consideration of the lump-sum leave payout, then getting all of the money in one year actually could be a good thing. Also, the accumulated leave and the final salary qualifies for an IRA contribution. Next week, I'll handle some individual questions from readers about the best dates to retire. Whether you are 20 years from retiring, or pulling the plug in a couple of months, there are things you should do, and things you should not do. So what are they? How can you maximize your benefits to make sure your retirement diet won't center around dog food? We asked financial planner (registered investment adviser) John Bernards for a little help (as in "you do all the work") and he sent us the Dirty Ten. Today we give you the first five tips. Tomorrow the rest. In a sense, you have been planning for your retirement ever since you started working. Maybe you have been contributing to a 401(k) plan or maybe you've been socking away money in an IRA, but without a doubt, you are looking forward to your golden years. And we want you to enjoy those years without worrying about having to take out a reverse mortgage on your house. For many people, retirement is not the stress-free vacation from financial concerns that they envisioned. Bad planning is often the culprit. What follows is a list of ten common mistakes that retirement-age individuals often make as they try to manage their own financial affairs. Naturally, our careful planning will avoid these pitfalls so that you can relax, confident of your security in retirement. Outliving your assets. We live in an era of unprecedented progress. Medical and technological advances have improved the lives and longevities of Americans, and at age 65, life expectancy is 81.6 years for a man and 84.5 years for a woman. As an increasing number of Americans celebrate their 90th and 100th birthdays, financial professionals must recognize the probability that a client's retirement may last just as long as his or her working days. How to ensure retirement income for 30 or 40 years after your last paycheck must be the focus of your wealth manager. Favoring accumulation over distribution. You may have spent years trying to grow your assets. Now it's time to draw on your accounts. And while this may appear to be a simple matter of selling a particular stock, there is something of an art to taking distributions. Determining which assets to liquidate and when to do so requires careful analysis of projected returns, income streams, and taxable consequences. Ignoring the impact of inflation. A couple will often say something like, "All we need is $60,000 per year, for the next 20 years. It's simple." It is not, however, quite as simple as it may seem. Assuming a 4-percent inflation rate for the next 10 years, the couple would need almost $90,000 if they wanted to maintain their current lifestyle. If they lived 20 years, they would need to draw more than $130,000 after year 19, all because of inflation. What's worse, year-over-year increases in the price of prescription drugs and medical supplies have far outpaced the inflation rate as measured by the Consumer Price Index, forcing the retirement community to scramble for income they had planned on saving or passing on to heirs. Prudent financial guidance requires that you factor in the "real" value of your asset growth and income needs. Uncertainty about social security. Many people believe that once they hit early retirement age, they should immediately begin receiving social security benefits. Other retirees have been advised to wait as long as possible before drawing distributions. While there is no "right answer" for everybody, there is a right answer for you. Depending on your health, life expectancy, retirement goals, and sources of income, you may want to receive social security benefits beginning at age 62 (your early retirement age), your full retirement age (between 65 and 67), or even age 70. Because there is no time at which it is mandatory to take benefits, determining just when you should begin receiving social security is a critical component of retirement planning. Consult with a trusted wealth manager. When they retire, most federal and postal workers are better off than their private sector peers. Retirement benefits are linked to inflation (a perk unknown in the private sector) and health insurance is for life. Some of the recent private sector buyouts required employees to find their own health insurance. Many, if not most, private company 401(k) plans do not have make any kind of matching contributions to employee accounts. Overlooking the impact of changes in tax law and issues of tax efficiency. There are few areas as poorly understood by the general public as tax law. Partly, this is because there are so many laws regarding taxation, but it is also because the law is constantly changing. Since 2000, federal legislation has drastically modified marginal and capital gain rates, tax treatment of dividends, IRA distribution rules, and estate and gift tax rates. To complicate matters, much of this legislation is set to expire in 2011. Failing to consider tax law changes could render an investment plan ineffective, while taking advantage of tax law could save you a substantial sum. It is also important to consider tax-efficient planning-not only for yourself, but for your heirs, too. There are a variety of strategies that can ease the tax burden on your beneficiaries, and you may consider the possibilities of a charitable gift, an annuity, a charitable remainder trust, or a private foundation. Mistaking diversification for asset allocation. Some people believe that the key to investing lies in owning a variety of assets. They focus on quantity of positions, claiming that by holding 10 stocks, they hold a "diversified" portfolio. This statement, while to some degree accurate, hardly protects them from the market's fluctuations. Why not? The reason can be found in the distinction between diversification and asset allocation. While diversification merely mandates distributing assets across a number of investment vehicles, asset allocation requires that the investments are spread across a variety of asset classes, some of which have low correlations to each other. By investing in large, medium, and small companies; by holding bonds, real estate, and cash; by owning international assets; and by investing in both the growth and value style boxes, you can capture all of the market's upswings while gaining solid downside protection. Allowing yourself to be influenced by the media. It is a known fact that the market always overreacts. Bullish news sends it soaring, and bearish news exacerbates bad times. More than any other factor, media commentary can escalate bubbles and trigger sell-offs. The long-term investor (with a time horizon of more than one year) knows that today's hot IPO according to MSNBC has a good chance of losing value over the next five years. Intelligent investors cannot be influenced by the banter of talking heads. Markets experience cycles, and you cannot escape the ups and downs through hyperactive trading in response to the word on the street. Underestimating your financial needs. Before meeting with a wealth management specialist, investors often believe that their retirement needs are met. Despite their own confidence, many of these individuals are completely unprepared for the future, and lack any semblance of a clear financial plan. Unaware of the various insurance and investment products specifically designed for retirees, unfamiliar with tax laws and asset allocation theories, and unqualified to act as their own distribution specialist, these investors often find themselves in difficult situations. You might be a superstar at your job, but you are probably ill-equipped to formulate a retirement plan for you and your family. For financial security in retirement, seek professional guidance. John, by the way, is a Certified Financial Planner™ and a Chartered Federal Employee Benefits Consultant. He is a founding partner of The Harvey Group. You can reach him at (703) 549-5488 or email john@steveharveyllc.com. How It Affects Your Social Security Retirement Or Disability Benefits. Also, did you know that full-time career employees eligible to retire within the next 5 years can request an annuity estimate for optional retirement via PostalEASE. https://ewss.usps.gov/esymain.htm <https://ewss.usps.gov/esymain.htm> . PTR and PTF employees will need to contact the HRSSC to obtain an annuity estimate. A full explanation of the NARECS annuity estimate printout is available through www.liteblue.usps.gov <http://www.liteblue.usps.gov/> by viewing the Online Retirement Seminar NARECS segment. Employees will need their Employee Identification Number (EIN) and PIN. There's a ton of retirement information available at http://www.opm.gov/retire/ <http://www.opm.gov/retire/> . In addition, there are retirement counselors at the HRSSC that can answer employees' retirement questions. Disability retirement questions should be directed to the HRSSC. That number is 1-877-477-3273, menu option 5, listen for the retirements prompt. Des Moines Bulk Mail CenterQuad Cities P&DF! Des Moines Bulk Mail Centerhttp://hawkeyeintranet/index.cfm?treeID=27519 or by using this path:! If you want to enroll your spouse, go back to class list and type in their name, your office and click Submit again. This is an INTRANET connection, so you must enroll on a USPS computer. If you have difficulty, call Cynthia Smith at 515-251-2224 to enroll. Please post on bulletin boards. ALL CAREER employees may attend. These informational sessions are done off the clock (on your own time). Please post on bulletin boards. CAREER employees planning to retire within 5 years may attend. These informational sessions are done off the clock (on your own time). When you retire from the federal government you will have the option to keep your Federal Employee Health Benefits Plan and to sign up for Medicare. And pay premiums to both. Keeping the FEHBP plan is a no-brainer. Do it unless you have a spare $300,000 laying around to pay medical bills for yourself and a spouse. That's the amount many experts say a couple over 65 can expect to rack up in bills as they age. Fortunately your federal health plan will pay the lion's share of most of those bills. But the Medicare question is more complicated. When an employee retires and keeps their Blue Cross and Blue Shield insurance, then do they keep their standard option only which is probably the best thing to do, or do they keep the basic option and get Part B of medicare? Please comment on this and what experts think for the future FERS employees and for the already retired employees under the CSRS. We at NARFE do not track what health care coverage changes CSRS or FERS federal retirees make when they become eligible for Medicare. We do however receive a great many questions from FEHBP enrolled federal retirees when they are faced with the decision. What federal retirees need to understand is that after they enroll in Medicare it becomes their primary health insurance coverage and their FEHBP plan is now secondary coverage supplementing the benefits Medicare pays. Enrollment in Part A hospital is free to most federal retirees and should not be declined. Enrollment in Part B medical requires paying a premium each month in addition to the monthly FEHBP premium. Some federal retirees find coverage under their current FEHBP plan to be adequate for their needs particularly since they all provide prescription drug coverage benefits that Part B does not. Those retirees often opt to stick with their FEHBP plan and not enroll in Medicare B. For those retirees whose medical circumstances (or peace of mind) require them to have as much health insurance coverage as possible, the monthly premium cost for both can be a strain. During the next annual Federal Benefits Open Season period those retirees should review FEHBP plans they are eligible to enroll in to get the coverage they need to supplement Medicare at a lower premium cost. But as my father used to advise "look before you leap". While the lower cost options have similar coverage to the higher options there is a reason why they are less expensive. Lower cost options may restrict enrollees to using the plan's preferred providers to get any benefit coverage and they may not offer the same prescription drug benefits as the plan's standard or high option. Medicare & FEHBP, Who Needs It? With Federal Employees Health Benefit (FEHB) open season approaching in November, it might be helpful to take a look at the "five-year requirement". While we're at it, we'll look at how the five-year requirement applies to your Federal Employees Group Life Insurance (FEGLI). Most federal employees are aware that, in order to carry your FEHB into retirement, you have to have been enrolled for the five-year period immediately preceding retirement (with few exceptions). There is generally a great advantage in being able to carry your FEHB into retirement. Uncle continues paying his share for as long as you remain enrolled. The five years refers to enrollment in the program. You do not have to remain in the same plan for five years. Your spouse does not have to be enrolled for the five years immediately preceding your retirement in order to be covered. You can bring your spouse on your insurance at any time before retirement, or even after retirement. Be aware that if you die after retirement but before bringing your spouse on your FEHB, your spouse will not be able to continue FEHB, even if you have elected a survivor annuity. If you are enrolled as a family member on the FEHB policy of your spouse, that counts towards the five-year period the same as if you were enrolled on your own. Tricare is viewed as equivalent to FEHB, and time spent on Tricare counts towards the five years. FEGLI has the same five-year requirement, but there are a few differences between FEGLI and FEHB. First, FEGLI open seasons are not regularly scheduled. In fact, the last FEGLI open season was in 2004 and the changes that were made in that open season were not effective until September 4, 2005. That means that if you enrolled in or changed your insurance four years ago, you have to wait another two years to meet the five-year requirement. When does 6 = 5? When FEGLI is involved. OPM has not announced the next FEGLI open season, but I would expect that there would be one in 2009, with changes effective in 2010. You may cancel or drop your FEGLI at any time. Open seasons are only necessary for enrolling or increasing your level of coverage. FEGLI options B and C also have options regarding the level of coverage. In option B you may have multiples of 1 to 5 times your salary, and in option C you may have options of 1 to 5 times the amounts of $5,000 for a spouse and $2,500 for a child. If you have options B and C when retiring, you can only carry over the lowest level of multiples you had during the last five years. For example, if you had option B coverage of 2X your salary and changed to 3X your salary in the most recent open season, you would have to wait until after September 4, 2010 to retire in order to carry the 3X coverage into retirement. It looks like a certificate of deposit, only better. The "bank" that issues it, owned and operated exclusively by Uncle Sam, is as safe as it gets. The CD-like instrument can be opened for as little as $25. And it offers a government-guaranteed rate of return for 12 months. That rate is reset each January by the Treasury Department. This long-term investment is funded with after-tax dollars. That means when you withdraw it, before retirement, you pay taxes only on the earnings. You've already paid them on the money you put in. Finally, if you don't want a lump sum payment prior to retirement, you can use the money in your account too boost the amount of your lifetime, indexed-to-inflation civil service annuity. Oh, and it is paying 3.875 percent through the end of this year. So what is it and what's the catch? It's called the Voluntary Contributions program. Although it's been around for years, many feds (and many federal HR offices) have never heard of it. Or, if they have, they confuse it with the Thrift Savings Plan which is completely different. The catch? The VC program is only open to current federal workers who are under the old Civil Service Retirement System. Retirees can't join it. Retirees and active workers under the FERS retirement plan cannot join the VC. You open your VC account with the Office of Personnel Management. Once established, you can invest up to 10 percent of your lifetime federal earnings into the VC. It is the ideal plan for people who, after maxing out their after-tax contributions to the TSP, still have cash in hand. Maybe you won the lottery, maybe you got an inheritance, or maybe you saved it. Whatever. You can invest (on an after-tax basis) in the VC. Unlike the TSP (pre-tax investments by payroll deduction) the VC program accepts after-tax dollar deposits by personal check. And they must be in $25 increments. That means you can put in $25, $200, $500 or any amount provided it does not exceed 10 percent of your total federal earnings. The interest rate on the VC is set by the Treasury and is good for 12-months. This year (2009) it is 3.875 percent. Last year the VC accounts were paying 4.75 percent. Many HR offices don't know anything about the VC program. Exceptions are the NIH, the Navy and a few other agencies with first-class benefits information programs. But you don't need your agency's help. To find out more about it (in pdf form) click here.